The upcoming sixth season of TNT’s “Major Crimes” will be its last, the network announced Tuesday. 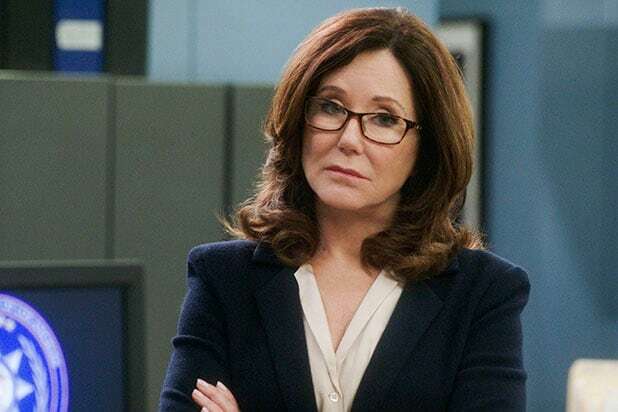 The drama, which stars Mary McDonnell as Commander Sharon Raydor, kicks off its final season Oct. 31, with the two-episode series finale airing Jan. 16. Created by James Duff, the show launched in August 2012 as a spinoff of “The Closer,” the drama that featured Kyra Sedgwick as Brenda Leigh Johnson. The cast of “Crimes” includes G.W. Bailey, Tony Denison, Michael Paul Chan, Raymond Cruz and Phillip P. Keene. This follows TNT announcing last month that freshman drama series “Will” had been axed. “Major Crimes” is a co-production between The Shephard/Robin Company, Walking Entropy, Inc. and Warner Bros. Television. It's been a rough few weeks of cancellations for fan-favorite shows like "Sense8," "Pitch" and "Sweet/Vicious." Here's the ones we're still super bummed about. Messy and homey, just like a real family. It's also not great timing that Netflix canceled this fan-favorite diverse and inclusive sci-fi drama on the first day of Pride Month. Jules and Ophelia were the vigilantes we needed right now, but unfortunately MTV didn't agree. Okay, sure, we've had months to come to terms with this "Boy Meets World" spinoff not finding a new home, but it's still too soon, okay? Major League Baseball is ready for its first female player, but Fox wasn't ready to give Ginny Baker more than a season to prove herself. This timely, modern take on American slavery was canceled as its network exited the scripted game, but fear not, creator and showrunner Misha Green has already promised they're looking for a new home for Harriet Tubman and the gang. Perhaps not a surprise cancellation as ratings were never there for the better-than-the-premise-sounds father-daughter drama, but it's still a bummer we won't get to continue spending time with Frank and Raimy in the future - and the past. Baz Luhrmann's visionary deep dive into the 1970s birth of hip hop was canceled after just one season, breaking a Netflix streak and millions of fans' hearts. A futuristic drama about the dangers of corporations having too much power seems timely and important, but not according to Syfy, who canceled it after just one season. This Australian import garnered a passionate following, and after four seasons, despite creator and star Josh Thomas reassuring "we are really happy with what we've made and feel like it is complete," fans were still hoping for more. "American Horror Story" is still going strong six seasons in, so why couldn't its funnier, younger cousin last more than 2 seasons? John Ridley's masterful deep-dive into uncomfortable social issues season after season was cut down too soon, when these stories need to be told more than ever.